Dr. Rodney Parsons earned his Bachelor’s Degree in chemistry in 1986 from Trinity College and then received his Ph.D. in 1992 from University of Vermont under the guidance of Professor Martin E. Kuehne. His doctoral studies were focused on development of novel routes for the construction of indole alkaloids. He then carried out postdoctoral studies in organic chemistry with Professor Clayton H. Heathcock at University of California at Berkeley. In 1994 he joined the Dupont-Merck Pharmaceutical Co. as a Research Scientist where he rose to the rank of Director. 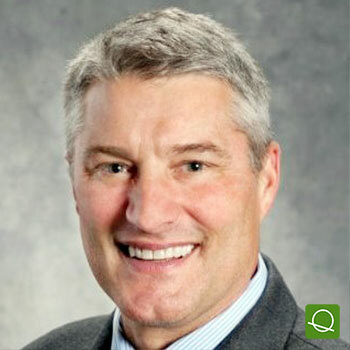 In 2001 he joined Bristol-Myers Squibb after the acquisition of the DuPont Pharmaceuticals Co. where he is currently an Executive Director in the Chemical and Synthesis Development Department. He has been involved with drug development programs in a number of therapeutic areas including virology, cardiovascular, oncology and metabolic diseases. His research interests include pharmaceutical Process R&D, asymmetric synthesis, heterocyclic chemistry and natural products total synthesis. He has been the BMS Genotoxic Impurity Assessment Committee Chair since 2006. On the GIAC he leads a R&D wide committee to establish GTI control strategies and align BMS internal practices with the evolving Health Authority regulations. He has published over 40 papers and patents in these areas. GTI strategies & new methodologies: analysis, in silico & regulations. Challenges & opportunities. CASE STUDY: Genotoxic Impurity Controls post ICH M7: BMS Work Practices for Assessing and Controlling GTIs. The development and execution of Genotoxic Impurity control strategies has become a regulatory requirement for all phases of development. With the issuance of ICH M7 sponsors now have clear guidance on the strategies which will be required to meet these expectations. BMS has an aligned process which uses the principles in ICH M7 to define these control strategies. This presentation will review GTI examples from the BMS portfolio which highlight these different control strategies.